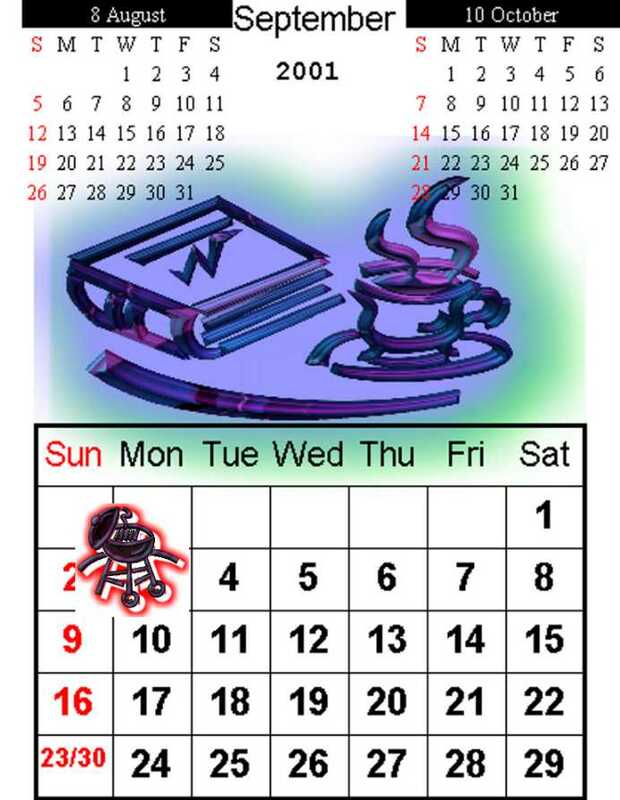 "Free Calendar for Printer Print-out"
Please always remember to "Refresh" or you will get last months calendar. Set your printer for Economy if you want to save ink. You will find that under "Properties"; then click "Advanced" then scroll to "Economy"; then click "Apply"; then click "OK" (your printer should reset itself after you turn off "puter; re-check it anyway). Your calendar will be faded, yet still useful. If you are going to give the calendar as a greeting card you certatinly willNOT want to use "Economy". Set your printer for page one of one or you will get all the stuff at the bottom of the page.